Why do you need to brush up on your Business writing skills? Like in a typical examination situation, prospective Clients, Investors, or Sponsors will appraise you by what you have captured on paper and make their decisions based on that. No matter how brilliant an idea is, if is it not properly expressed in writing, you can hardly get the consideration or buy-in you are seeking. A Proposal, Essay, Business plan or CV is often the most effective medium for making initial contact with decision makers on the business, job, partnership, etc. you are prospecting. It is then all important to put forward your best foot to ensure your proposal serves as a gateway for getting the desired opportunity. Typically, there are different types of business documents and the one to be adopted will depend on the purpose for which it is being written as well as who the recipients are. Business plans, Essays, proposals, resumes, pitch deck, all serve different purposes ranging from getting funds, School admission, jobs, sponsorships, etc. For the purpose of this discussion we will be looking at Business Proposals, Essays and Pitch Decks. While I will share sources where you can find templates and outlines, I will be dwelling more on how to develop quality content for each type of document. Solicited or unsolicited submission by one party to supply (or buy) certain goods or services to (or from) another. Unlike an offer, a proposal is not a promise or commitment but, if accepted by the other party, its proposer is expected to follow through and negotiate for the creation of a binding contract. Proposals are generally a statement on what you are offering and what problem you will be solving for the other party. The ultimate goal of a proposal is to gain approval and/or buy-in from the people/organisation you are sending them to. As defined above, proposals may be solicited (formally or informally) or unsolicited. Formally solicited proposal are usually done through a process of referred to as RFP (Request for Proposal) and usually a template will be provided in this case. In cases where there are no specifications made for the format, it is important to adopt standard best practice to ensure your proposal don’t go straight into the trash. The first step to writing a good proposal is planning: What do you want to achieve with the proposal, who is your target audience, what will most interest them, how do you get your message across effectively? This will help you to decide what content should go into the proposal. Some research is required here to show your knowledge of the business, industry, the client’s needs, latest trends and technology, your product’s strengths, pricing, competition, etc. as such, it is necessary to take time to plan what will go into the proposal. It is best to customise each proposal for intended recipients. Product description: What are the major features of your products/services? Needs: Why are your products/ services needed? What problems are they solving? Value Proposition: How does it meet the needs of the client you are prospecting? What problems will it solve from them? Why/How are your products better that your competitors? What’s your track record and previous experience? How can you be contacted for further discussion or an order? Trying to put in as much information about your capability in just a few pages can be an uphill task; you should however note that Executive buyers or decision makers have a very short attention span (5 minutes at the maximum), so you have it keep it short and concise. Your first page is the selling point and should capture the essence of your proposal in a succinct ‘Executive Summary’ format. This refers to the look and feel of your proposal that will stimulate interest from the reader. It is necessary to choose font type, size and colour that are appealing and also use pictures and graphics if necessary. I always recommend that your cover page should carry both your logo and that of the company you are writing a proposal too; this can be sourced on the internet. These days, proposals are packaged in sleek looking magazine, book or branded CD formats while some in audio or video format. Anything that will stand your proposal out from others is a definitely welcome idea. A word of caution too, don’t go overboard with your aesthetics; while some industries are favourably disposed to creativity, others have benchmarks and you might not be taken seriously if you over do your Aesthetics. This goes further to buttress the fact that you need to know your target audience. Appending brochures, Catalogues or links to your website/blog, articles or thesis will enable the person you are prospecting to see samples of your products or works which will boost their confidence about your ability to deliver on your promise. Including short professional profiles of yourself and team members that summarise your qualifications, competences and experience may also lend credibility to your company’s capability. You can also include testimonials or recommendations from existing clients. This is all important. Don’t end a proposal without telling the client what you want from them. Your proposal should answer the following questions: What action do you want to elicit by your proposal- Call for a meeting/interview/presentation, purchase of your product? You must be clear on this. You should also state how you can be reached, your office/showroom address, etc. Finally remember to thank the recipient for making time to read your proposal. 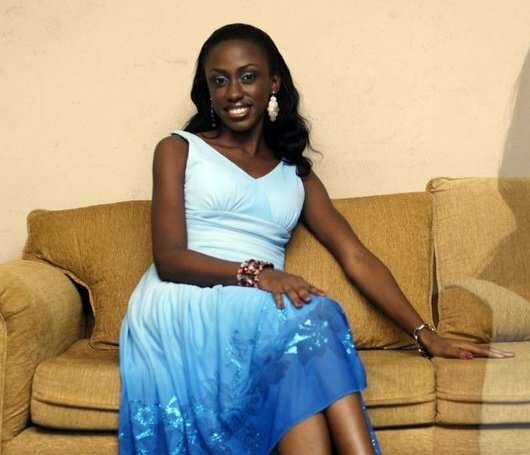 Bukola Adekanye is the Founder SMEBizInfo.com- an information gateway for small Businesses which provides access to opportunities both locally and international that will give their business a leverage. She has worked with the Nigerian Exports promotion council on the ‘Women in Exports Project’, she also currently works with the LCCI to promote trade mission between the Nigerian Businesses and counterparts in other countries. In 2013, her company was a recipient of the YouWIn grant by the Nigerian Government and in 2014, her company was one of the twenty Women owned companies selected by ITC, Geneva to participate at the World Exports Development Forum. She is an Alumnus of Fate Foundation, and currently a Mentee on the Cherie Blair foundation for Women programme, UK. She is also Managing Director, Chayil Safari & Hospitality Ltd and Associate at Platinum Integrations Ltd, UK. Next Story → How you can position to take advantage of the USAID NEXTT Fund.